It’s a question so common that even preschoolers are considering their career options. For many of us, it brings up feelings of dread, uncertainty, and/or resignation. Sure, there are those who seem to unquestioningly pursue a career, but even they can find themselves disenchanted with the outcome. We forge ahead, often aimlessly, attempting to assert our strengths and actualize our passions. Doubting you’ve made the right career choice? Questioning your occupation can occur with anyone at any time. In fact, most adults in the United States change careers at some point in their adult lives. We struggle to commit to our dreams because envisioning them becomes challenging. Conflicts with values and purpose related to career pursuits can make us feel stuck. Whether still deciding on a career or flourishing in your current profession, doubt can plague us. Sometimes our gut is smarter than we are about career. It knows something is wrong; it’s time to listen! Otherwise, we lose sight of our options and ourselves. Career coaching and assessment can assist with clarifying values, drive, strengths and weaknesses, so you can carefully consider your options. 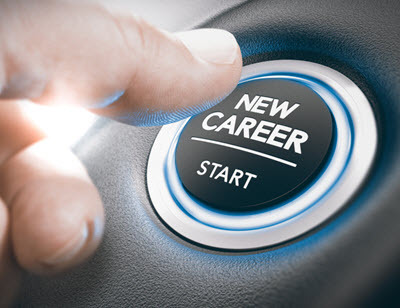 When you schedule a career reboot consultation, we start with getting to know you and provide you with an evaluation that considers your personality, abilities, and passions. Ongoing sessions can help with clarifying career options to help realize the purpose and meaning you seek in your work. Contact us at (323) 345-1402 to start fresh and consider options for your future.